Discover the ancient power of Reiki Healing and learn to heal yourself and others, with Dr Aoiffe Kilcommons, Reiki Master/Teacher. Reiki is a safe, effective, non-invasive therapy which offers deep relaxation and healing on a physical, emotional, mental and spiritual level. It is a complete healing system working with your energy to bring balance to the emotional and physical body, and producing inner harmony. Reiki is not a religion and works regardless of an individual’s faith. The use of Reiki can be traced back for thousands of years, spanning many diverse cultures and civilizations. It was reintroduced in its present form in the late 19th Century after many years of dedicated research by Dr Mikao Usui from Japan. Reiki flows through every living thing, since it is the Universal life force. However, what makes this system of healing different from others is the process of “Attunements” (also referred to as initiations) which the student experiences as part of Reiki training. The attunements are a very ancient process for fine tuning the physical and etheric bodies to a higher vibratory level and opening a purified channel in the body for the energy to pass through. Once this channel is opened through the attunement process it will remain open for the person’s lifetime. The Reiki energy is activated simply by the intent to use it. Once attuned by a Reiki Master, Reiki is like a form of first aid in your hands that will never leave you. The first degree is predominately experiential and focused on self-healing and on elevating the energy of the physical body so that it may channel more intense healing energy. *The four attunements you will receive during Reiki I are focused mainly on opening up the physical body so that you can accept and channel the energy. After receiving attunements, there is a 28 day cleansing period. During this time, you are encouraged to give yourself a treatment every day and many students find themselves undergoing positive personal changes and accelerated spiritual growth which can be an extremely powerful and rewarding time. On completion of the course, you will receive an illustrated Reiki Manual, the First Degree Reiki Certificate, Reiki gift tool bag, as well as on-going support. However, 2nd Degree Reiki Training is required to enable you to work as a Reiki Practitioner. A six month waiting period is required between the 1st Degree and taking the 2nd Degree. This is to allow the body to adjust to the fine tuning that occurs in the attunement process, which can result in an inner cleansing on either a physical, emotional, mental or spiritual level. If you are a person that holds many personal issues or illness, the waiting period allows the body to adjust to the physical and emotional change that can sometimes be profound and dramatic. The passing and memorising of 3 Reiki symbols to enhance emotional and mental healing. The technique and practice of distant healing. In 2nd Degree Reiki you receive a further four attunements. At this stage of the training, the energy of the attunement is greatly amplified and its focus is on the etheric body rather than the physical and tends to stimulate the development of the intuitive centre. Those of you who have made any study of the human energy system will be aware that our etheric body vibrates at a frequency much higher than the denser energy of the physical body. As a result of this attunement, students often develop both a greater sensitivity to energy and their psychic awareness. During the 2nd degree, you will be introduced and attuned to three energy keys or symbols. These symbols can then be used as a focus to enable you to strengthen mental and emotional healing and to send absent/distant healing. Focus energy to release emotional and mental blocks. Focus your mind to send Reiki energy beyond time and space and thus bring about effective absent/distant healing. An understanding of the language of symbolism and the powerful effect it can have on the unconscious mind is also discussed. The symbols used are the three sacred symbols that Dr. Usui discovered during his lengthy research and are therefore esoteric in nature. Although it is through initiation that your connection to the symbols is strengthened, Reiki students are asked to honour their sacred nature and to not disclose them to non Reiki initiates. The passing of an additional 4th symbol – The Reiki Master Symbol. How to prepare and teach the Reiki degrees. How to pass on attunements. In this degree you receive another four attunements. You are now given a 4th symbol, The Master symbol. Some schools of Reiki split this degree into Reiki Master Practitioner Degree and Reiki Teacher Degree, which splits into a third and forth degree. However, all reiki masters from within my Reiki group, cover all aspects of the Master degree into one intensive course. This initiation opens the door to deeper aspects of ourselves and takes us up into the next stage of our evolution. It is for those students who wish to become whole, by owning and becoming responsible for all that they are. It is essential to wait a minimum of twelve months before embarking upon the Master’s Degree. 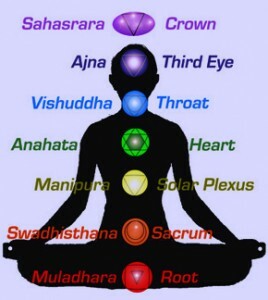 By this stage you should be fully conversant with the chakra system and spiritual issues. You must have also shown a commitment to the regular practice of Reiki and feel committed to passing your knowledge and experience onto others. 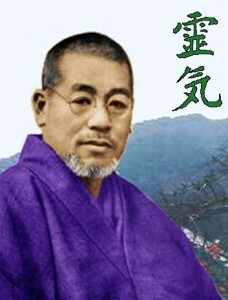 The Master’s Degree is for those who wish to teach Reiki. Becoming a Reiki Master requires commitment and dedication. Taking on “Reiki Mastership” is a huge commitment. You will be passing on the “Usui Reiki Tradition” and maintaining a commitment to the students for teaching and guiding through the Reiki training. This commitment and guidance must continue long after they have taken their training with you. You must think hard before you embark upon this degree and make sure that you have the dedication required. It is important to understand that we are all continuously learning when we work with the energy of Reiki. We are all on a wonderful learning curve!